After an awesome archive mixer at the Disney Studios last night, I felt it was time to show off this special Mickey. 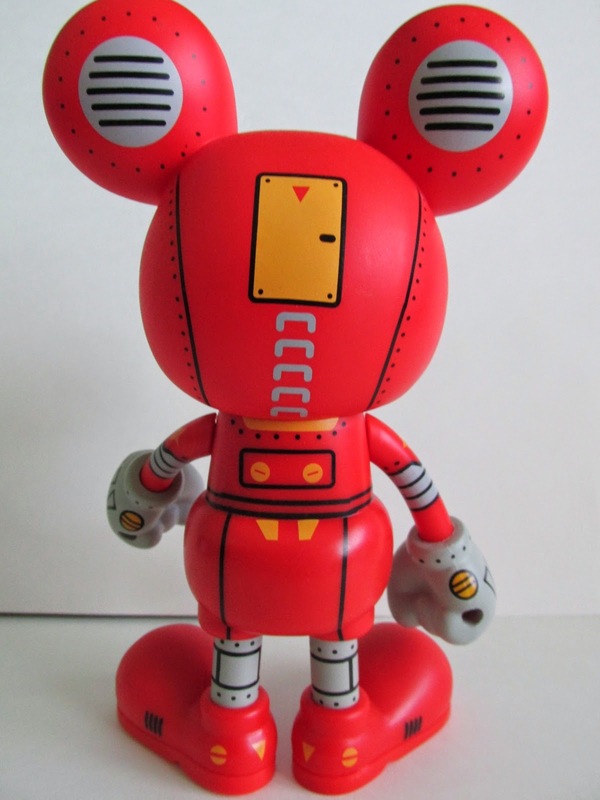 Play Imaginative releases another line in their Mickey Mouse vinyl figure collection. 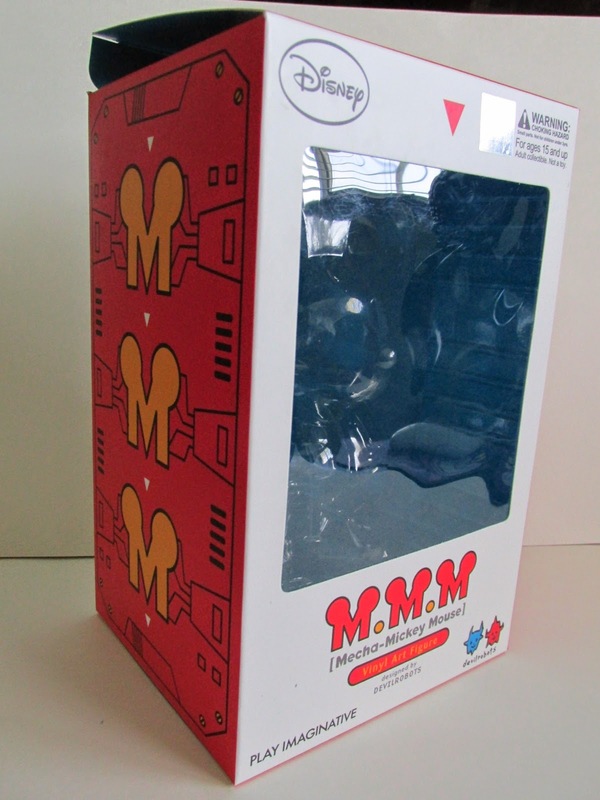 Essentially, each release features a different interpretation of Mickey. This time around DevilRobots takes a crack at it and the results are amazing. DevilRobots usually has a simple design and are known for their tofu characters as well as a plentiful cast of devils. 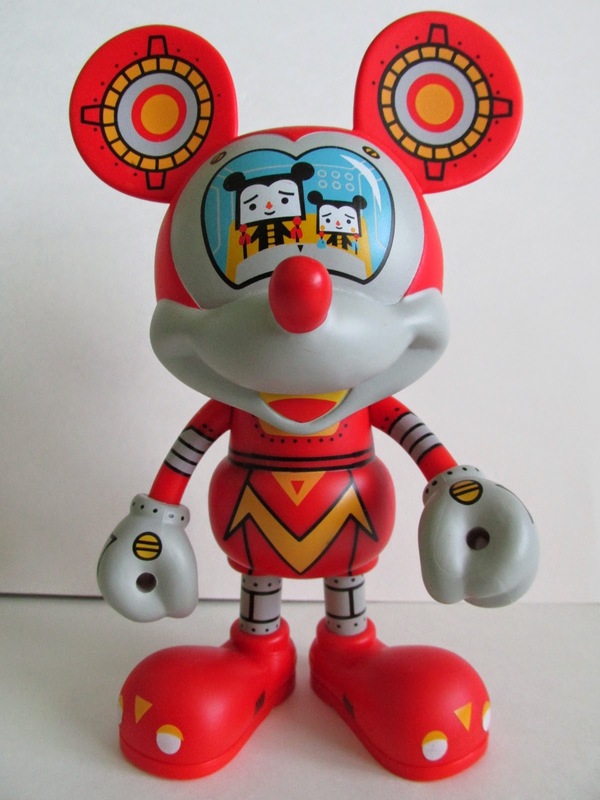 DevilRobots takes these two designs and came up with Mecha Mickey Mouse. The paint apps on this figure are quite amazing and with its bright red color draw attention to itself immediately. 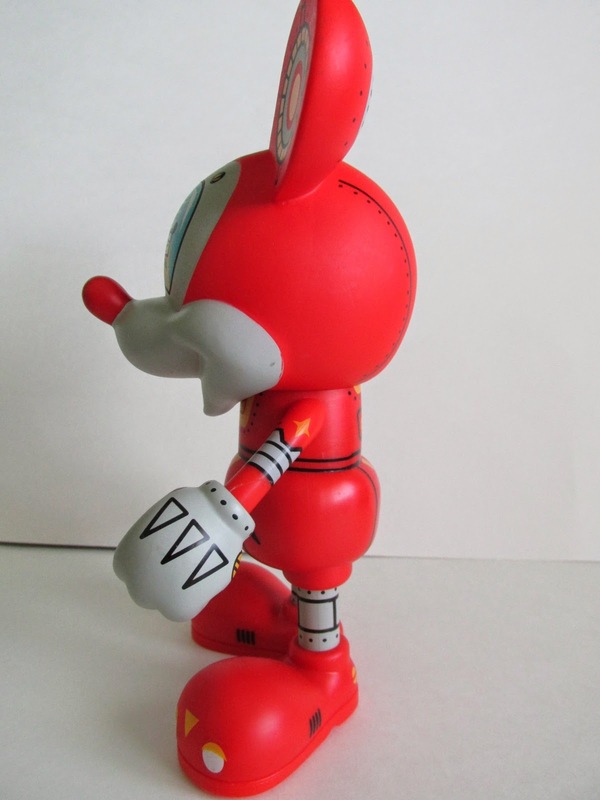 The innovative design of the two robots controlling a robot Mickey is a nice creative touch and makes this figure even more charming. Articulation wise the arms are the only limbs that can move. The head, hands, legs, and feet do not move so don’t try it! 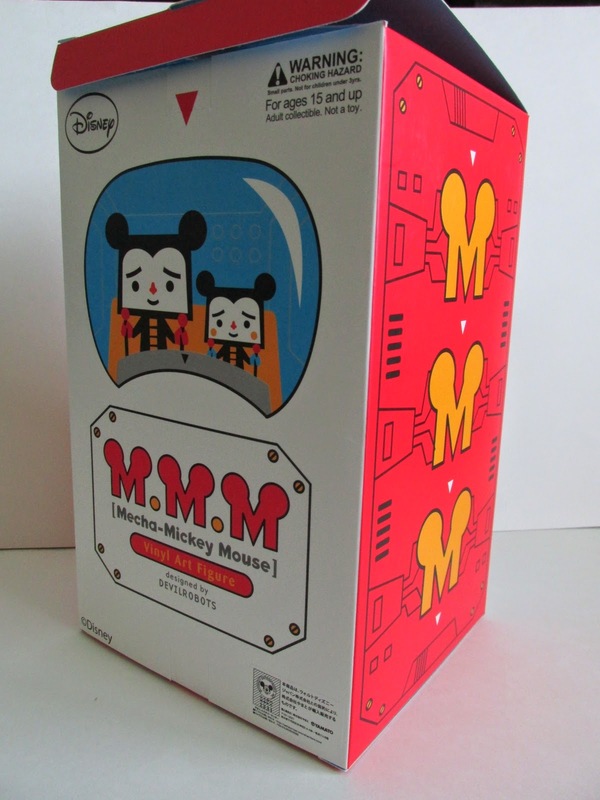 After getting this figure, I am very tempted to get the other Mickey’s in line…particularly Pinocchio Mickey, Robot Mickey, and Plane Crazy Mickey stick out in my mind. The price range for this figure is another motivation to get this figure. All in all I’m impressed with this line. Don’t wait too long though since I feel that this won’t stay in stock for too long.